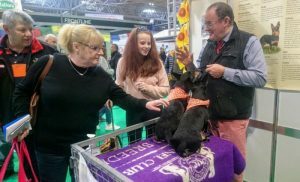 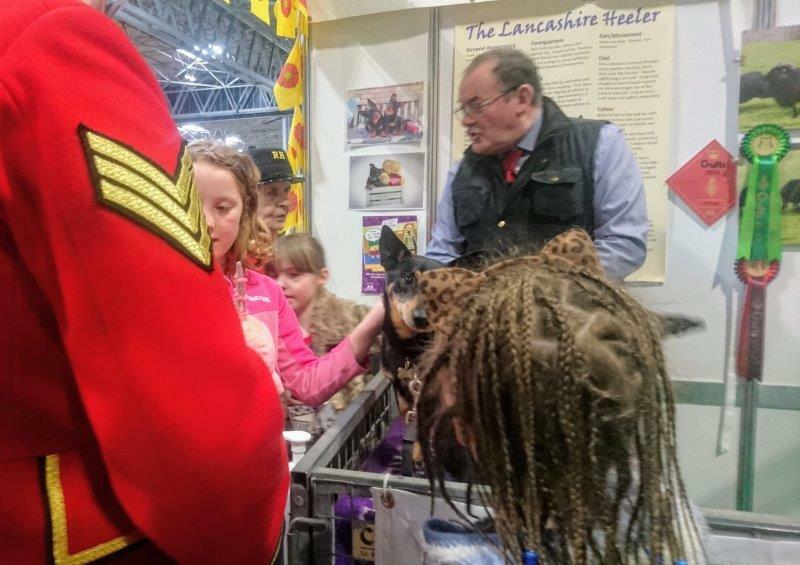 A busy time on the Lancashire Heeler stand at Discover Dogs at Crufts this year. My ears are bigger than yours says Bilbo! 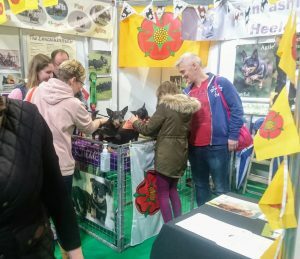 Lots of interest in our vulnerable native breed as well as all the other wonderful breeds in the halls. 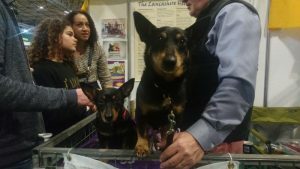 I think we all lost our voices after spending a day on the stand talking Heelers. 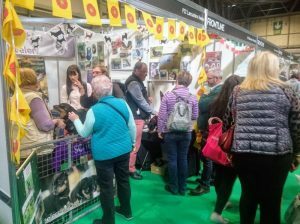 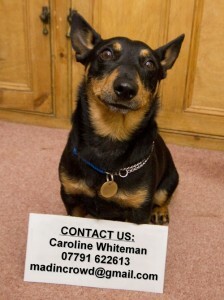 The dogs all behaved impeccably and certainly were the star attractions!